This Etsy listing is for a cross stitch pattern, not a finished project. 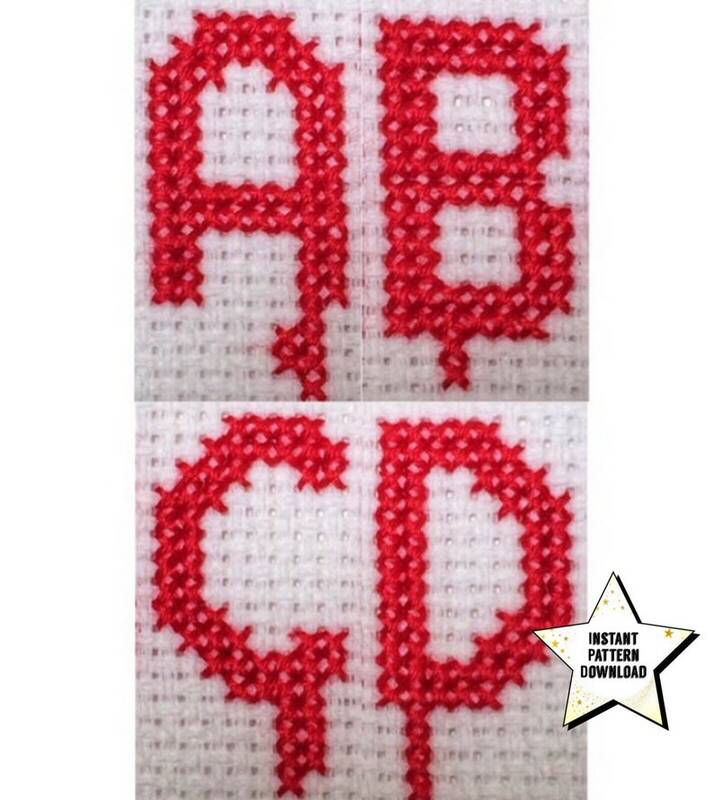 Need a font for your cross stitch design that's all gross and dripping with blood? Then I hope you'll find this alphabet to your liking. The pattern is 75 x 52. There is a DMC color list for the pattern. The pattern and color list should print out on one piece of paper. It is best to print this pattern in color, but the chart has symbols on it if you choose to print it out in black and white. The pattern is available as a .pdf download and should easily print out on a standard 8 1/2” x 11” piece of paper. You may need to download Adobe to view the image if you own a PC, or you can use Preview if you own a Mac. Custom pattern requests accepted when possible. Thanks for looking and happy stitching! Have any questions about my shop or items for sale? If you haven’t already checked out my shop to see everything that I have to offer please click here! I happily accept PayPal, credit cards, and Etsy Gift Cards. I do my best to accurately portray colors in my photos but please be aware that colors can change from screen to screen so we may not always see the same thing. I will ship orders using USPS one to two days after I receive your payment for items that are complete. Custom order times will vary depending on the size of the design. If you are unhappy with your item please let me know. I offer the option of replacing the item you purchased for free if it was damaged during shipping. A photo of the damage will be required before I send out a replacement so I can contact the USPS about the damage. If choosing this option please allow time for your item to be made. My shop relies on this tracking information to know that your package got to you. All packages marked as 'delivered' will be considered delivered. If for whatever reason no tracking information appears for more than 2 weeks please contact me. If you would like to add insurance or signature confirmation to your order please contact me BEFORE placing your order so I can send you a link to purchase these postage additions. This pattern is a great size! I can do custom orders depending on what they are. Please message me for more information and to discuss a price and timeline. I see a pattern for sale, can you stitch it out for me? Maybe. Send me a message with which item you would like stitched out. Depending on my work schedule and if I am already working on a custom order I may be able to stitch an item out for you. 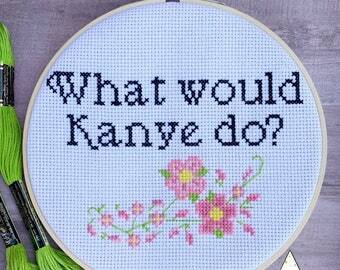 Please keep in mind that cross stitch isn't a fast craft. Even smaller pieces can take several hours of work over several days. What all do I need to stitch an item out? You will need 14 count Aida fabric (most common size used), floss, a needle (preferable a tapestry needle which has a blunt end), an embroidery hoop or frame to hold your fabric while you work, and scissors. To access your digital file(s) while on Etsy, go to You > Purchases and Reviews and look for the order. Will I get tracking info when my item ships? Yes! Once your order is marked as shipped you will be given a tracking number. Please allow time for updates to your tracking info to appear. My shop relies on this tracking information to know that your package got to you. All packages marked as 'delivered' will be considered delivered. If for whatever reason no tracking information appears for more than 2 weeks please contact me. If you would like to add insurance or signature confirmation to your order please contact me BEFORE your order so I can send you a link to purchase these postage additions.